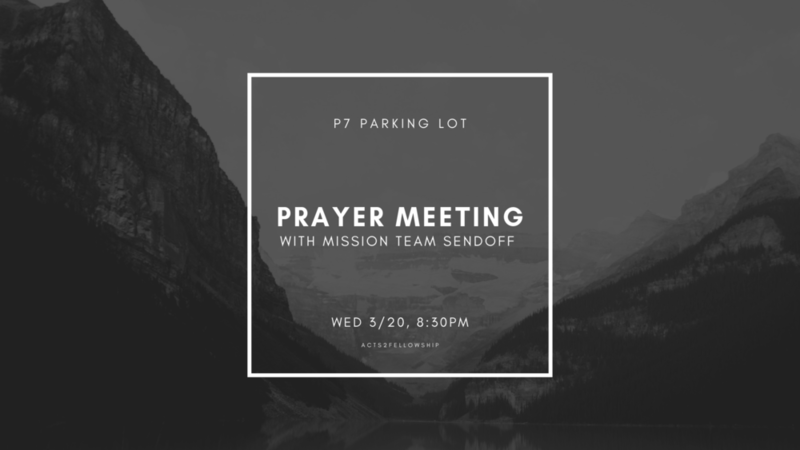 We’ll be having final prayer meetings this quarter on Wednesday! Come and join us for a time of connecting with God and spiritual recharging. We will be meeting at Parking Lot 7 - Bottom Floor starting at 7:30PM.